The Hexagon Shade will protect from sun, heat, hail, and UV rays. Made of high quality fabric, covering all-steel tubing structure. Lockstitch technique prevents frays or unraveling. 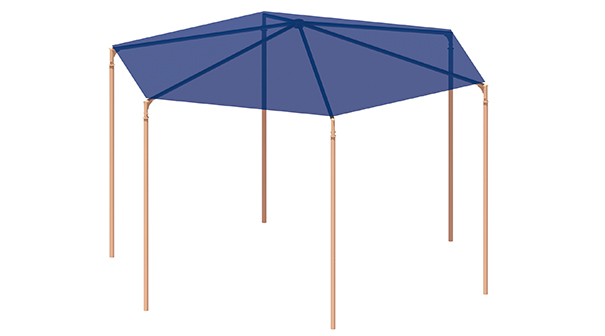 Available in standard or custom sizes, these shades can fulfill any need for shelter. Shade blocks up to 97% harmful UV rays and can reduce area temperature by up to 30 degrees. Structure is engineered to withstand wind gusts up to 93 mph with fabric, and up to 150 mph with fabric removed.